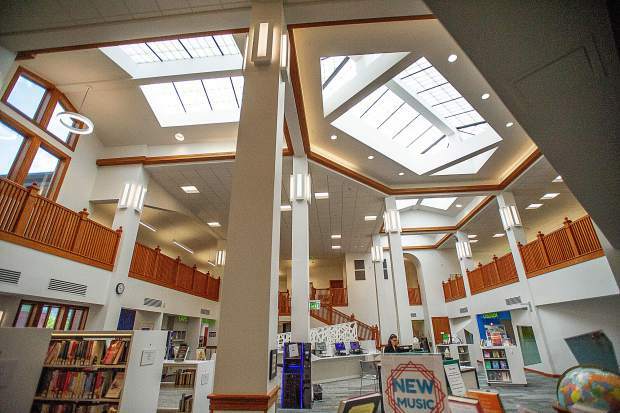 Since completing renovations in 2016, the Pitkin County Library is saving about $27,000 a year on utility costs thanks to efficiency enhancements such as better insulation, skylights, LED lighting, roof repairs, rainwater filtration and an upgraded HVAC system and chiller. Efficiency has improved by as much as 50 percent over the past two years. The first full year the library spent in the renovated building was 2017, so it was not until January this year that the drastic changes in energy consumption became clear. When the project began, staff did not anticipate that the efficiency efforts would make such a stark difference. “It was just a wonderful surprise,” library director Kathy Chandler said. Comparing 2014 with 2017, monthly natural gas expenses decreased 41 percent and monthly electricity costs decreased 23 percent, she said. Such significant savings are remarkable considering the size of the library increased by 7,000 square feet. 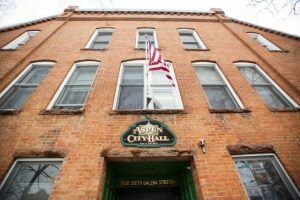 “Originally, we thought, well, we’re adding square footage, but it would be nice to just hold those utility bills,” said Community Office for Resource Efficiency program director Marty Treadway. 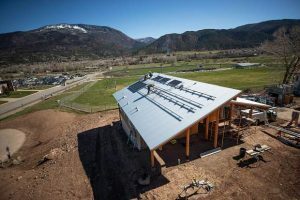 CORE, which is funded by the Aspen-Pitkin County Renewable Energy Mitigation Program, gave the library two grants for the project. With a $9,900 Design Assistance Grant, the library hired Iconergy, Snowdon and Hopkins Architects and M-E Engineers to construct a plan for efficiency upgrades. After the design was finished, CORE offered the library another grant, a $145,000 TRUE Pioneer Grant, for the construction of the plan. With the extra money from energy savings, the library invested in online subscription services like Hoopla, Kanopy and RB Digital, which provide music, e-books, audiobooks, movies and foreign media. The library also has used the money to enhance physical collections such as large print books and Spanish media. Not only have the efficiency gains benefited the library’s budget, they reduce the facility’s carbon footprint, as well. 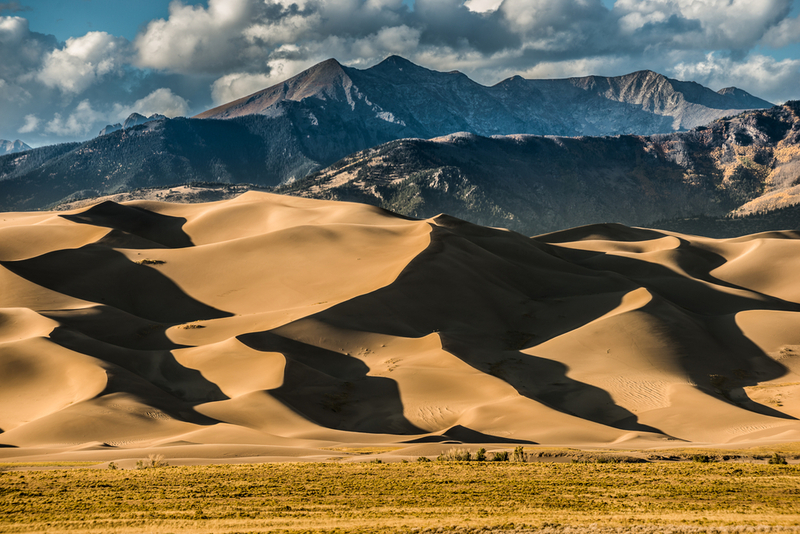 According to CORE, 286 fewer metric tons of carbon are released into the atmosphere annually due to the improvements ­— enough carbon to power 30 homes or 60 cars for a year. A public kiosk at the Courthouse Plaza building on Main Street displays up-to-date information about the library’s energy performance on a TV screen. After construction on the building was completed, Iconergy commissioners were hired to ensure that the new library was operating as effectively as possible. In order to ensure that the building continues to perform at an optimal level for many years, Chandler said that “fine tuning” will continue at regular intervals. “As long as we use these systems properly, that’s the best thing that we can do at this point in time,” she said.